Dr. Riddlebarger's book "The Lion of Princeton" is available in the church bookstore for a special introductory price of $12.00. B.B. Warfield. 'The Lion of Princeton,' as he was known, was in many ways the most significant American apologist, polemicist, and theologian of his age. However, despite the resurging interest in Warfield's life and work, his views are often misunderstood. 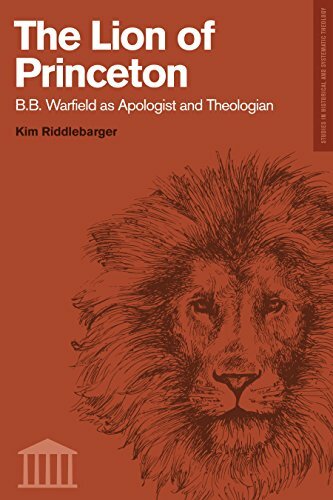 In The Lion of Princeton, Kim Riddlebarger investigates Warfield's theological, apologetical, and polemical writings, bringing clarity to the confusion surrounding this key figure of the Princeton tradition. He provides a biographical overview of Warfield's life, traces the growing appreciation for Warfield's thought, evaluates the fundamental structures in Warfield's overall theology, and examines Warfield's work in the field of systematic theology. 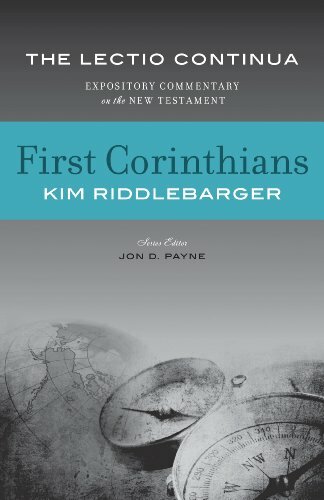 Dr. Riddlebarger's new Commentary on First Corinthians is available in the church bookstore. Purchase your copy now for $28.00. The Lectio Continua Expository Commentary on the New Testament is a new exegetical commentary series published by Tolle Lege Press. The series, edited by Jon D. Payne, will be authored by sixteen ministers from five countries representing ten different Reformed denominations. The Lectio Continua Expository Commentary seeks to be rigorously exegetical, God-centered, redemptive-historical, sin-exposing, Gospel-trumpeting and teeming with practical application. It aims to encourage ministers, elders, seminarians and interested laypeople to rediscover the profound spiritual benefits of systematic expository preaching; that is, the faithful preaching of the “whole counsel of God” -- verse by verse, chapter by chapter, book by book. It also endeavors, by the power of the Spirit, to help Christ’s kingdom disciples to “grow in the grace and knowledge of our Lord Jesus Christ” (II Peter 3:18). 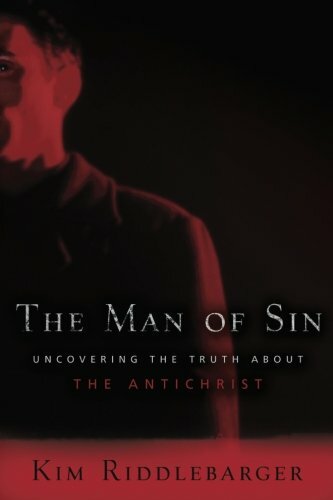 What should Christians believe about the Antichrist? Christians have always been fascinated with the Antichrist, but recently the interest seems to have reached an all-time high, with pop culture depictions and speculation leaving many people confused or even frightened. But what does the Bible really say? What have Christians throughout history believed about the Antichrist? Should we fear the Antichrist or such things as the mark of the Beast? Have some end-times prophecies already been fulfilled? Pastor and professor Kim Riddlebarger carefully untangles the confusion surrounding this biblical doctrine. He considers common beliefs about the Antichrist and end times, closely examines the relevant scriptural passages, and explains how these passages have been interpreted historically by the church. 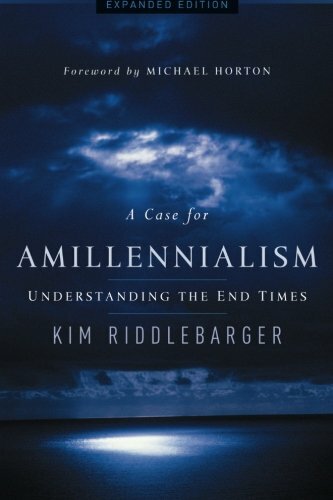 Pastors, professors, and concerned Christians seeking trustworthy guidance on the doctrine of the Antichrist will appreciate Riddlebarger's sound biblical approach. It is often said that Reformed Christians don't care about evangelism. Not only is this not true—for our confidence is in the power of God, not in the will of man--but Reformed Christians have a great deal to say about how we share the gospel with non-Christians. Lots of practical information here. If God is sovereign, why should we pray? Is prayer getting God to change his mind? Or is prayer about changing us? What can John Calvin and the Heidelberg Catechism teach us about prayer? These are just some of the issues addressed in this series. In this series of sermons on Galatians, Dr. Riddlebarger tackles a number of important issues. The Judaizers were telling the Galatians that faith alone was not enough and that Christians must also submit to circumcision. Must we add human merit to the merits of Christ or does Christ plus anything destroy the biblical gospel? What role do good works play in the Christian life? In this great epistle, Paul lays out the doctrine of justification by grace alone through faith alone on account of Christ alone! May Paul's gospel ring in our ears! Should Revelation be interpreted literally or symbolically? These are normally the two, mutually exclusive options proposed in treatments of Revelation. But the fact is that no one treats Revelation only literally or only symbolically. These lectures will propose that the visionary symbolism in Revelation can be seen to have four levels of meaning, which will then be illustrated with a brief examination of Revelation 1:10–20. When these principles are understood, Revelation opens up as the rich message for the church yesterday, today, and tomorrow as it was originally intended. Why do Reformed Christians believe in infant baptism and the real presence of Jesus Christ in the sacrament of the Lord's Supper? What is the Biblical evidence for this? What do we say to Baptists who exclude children from the covenant of grace or to those who think the Lord's Supper is a mere memorial? All of these issues are discussed in great detail. Historic Christianity is all about Jesus, his identity, message, and mission. For two millennia the Christian church has viewed Jesus as the divine Messiah whose life, death, and resurrection are God’s means for forgiving repentant sinners. Not only do the authentic historical Gospels present a divine Jesus, but also there is no credible support for the wild claim that Jesus was married to Mary Magdalene. Moreover, the alternative ‘Gnostic gospels’, which are the source of the Da Vinci Code claims (Mary, Philip, and Thomas), do not emerge from the apostolic age and therefore do not carry historical, eyewitness testimony about the life of Jesus Christ. This class will explored and critiqued the major claims set forth in the book and movie. The goal of this class is to introduce students to the theology of Meredith G. Kline, particularly his covenant theology. Some issues that we will address are: the ancient near eastern suzerainty treaties; the Old Testament kings as federal heads; the Adamic, Abrahamic, Mosaic, Davidic, and New covenants; the intratrinitarian covenant between the Father and the Son (the pactum salutis); and understanding the story of the Bible as the progressive unfolding of God's covenantal kingdom.